Home (All Topics) → Technology → Careers → Which is Better: Being a Freelancer or Office Worker? By Mario Alexander on March 22, 2019. Nowadays, many companies prefer to hire remote workers. They perform their duties without occupying office space, require no vacation and do not complain about having little time for personal life. Some employees, in their turn, find it difficult to get to the office every day due to long travel times or their health condition. Therefore, quite a few of them are considering going freelancing. If you want to become a freelancer but cannot decide whether the game is worth the candle, our article will help you make a more informed choice. It never hurts to have some useful information, especially if you are just starting your career and don’t know which way to go. The concept of freelancing is a bit vague these days, so let’s suppose that a freelancer is an independent specialist who performs tasks via the Internet. They have to search for employers on their own and can work for several of them at the same time. Although freelancers are mostly representatives of creative professions, engineers and other technical specialists are also involved in remote work. If you’re a student who wants to buy a paper for college, you may consider hiring a freelancer to write essays to order, too. Today, many pensioners, young mothers, and former office workers are becoming freelancers. As a mode of employment, freelancing is used in many business activities. Freelancing is becoming increasingly popular these days. It provides many people with freedom of action and self-realization. You no longer need to get up early in the morning, commute to work, and spend long hours in traffic jams. Nobody tells you what to do, and you can manage your time as you please. You have no boss or envious colleagues, nor do you get penalized for being late or not following the company’s policy. You can combine several areas at once and continuously work on improving your skills. According to recent studies, incomes of self-employed people are higher than those of office workers. Even though a freelancer’s salary may vary from month to month, their income is mostly limited by their desire to work. 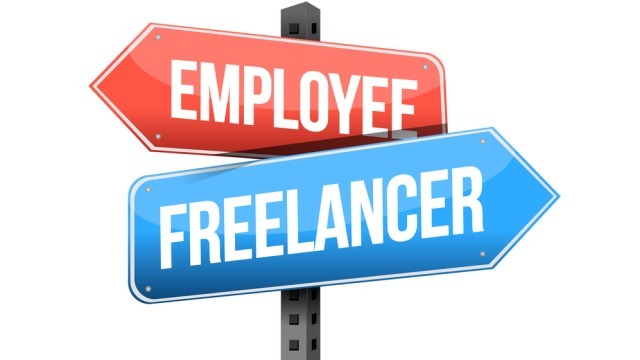 If necessary, a freelancer can take on more work and thus increase their remuneration rate. On average, freelancers earn 1.5 to 2 times more than ordinary office workers. Some can even launch their own businesses and earn good money. So, everything is real. The important thing is to work hard and never stop pursuing your dream. Freelancers often put pleasure they derive from work above a high income. It is easier for them to adapt their activities to their needs. A beginner freelancer usually takes tasks indiscriminately, but with time, they become more selective and accept only interesting work. According to Susan David, a psychologist and business coach, those who adopt a job to their lives are often more satisfied with their professions, show better results, and have a higher personal motivation. Being a freelancer, you can choose to work wherever and whenever you like. You always understand what you get money for and what your strong points are. It does not matter how much time you have spent on performing a task — you get paid based on results. It means that if you are excellent at something, you should do it. Remote workers do not depend on time as much as office workers do. As a rule, freelancers carry out tasks with fixed deadlines and participate in meetings remotely. They don’t have to spend time and money traveling to the office and back. Cooking at home can also help them avoid extra expenditures. It is not necessary to work with customers you do not like or who cause you too many problems. You can terminate a contract at any time or stop dealing with a company after completing all their tasks. Freelancers mainly communicate via the Internet or by phone, and this is a real godsend for introverts. This way a friendly and yet respectful distance is maintained. Freelancing gives you more freedom, but it also brings greater responsibility. You get to choose your Internet provider, bank account, insurance company or place of residence. In other words, you can organize your life the way you deem best. When working remotely, beginner freelancers may have an unstable income. According to recent studies, financial instability comes to the forefront among the negative aspects of freelancing. Sometimes, you have to work hard to get precisely those tasks that bring pleasure and decent profit. Also, most freelancers are not provided with medical insurance, sickness benefits, and pension. Some of the difficulties can be resolved, but for that, a freelancer should be legally and financially literate. Remote workers sometimes miss human contact. One of the benefits of work in the office is an opportunity to chat with your colleagues and ask them for their advice. Being a freelancer requires you to search for answers to questions, engage in self-study, and build personal development plans. Sometimes, freelancers can become so deeply involved in the work that they risk losing touch with the outside world. In this sense, a healthy balance should be maintained. If you want to have a lot of free time, you will earn very little. To be able to make good money, you will have to manage your time effectively. You shouldn’t expect people to help you because you have no boss. Performance-related pay is great if you are a professional in your field. If you lack the required skills, freelancing is not for you. Companies often organize various events for employees and provide them with different perks, such as free access to the gym, paid meals, and all kinds of discounts. Also, large corporations often cover their employees’ expenses for different training courses, so they could grow professionally. A significant disadvantage of freelancing is that you’ll have to pay for all of these things out of your own pocket. As you can see, full-time employment and freelancing have their advantages and disadvantages, so it is difficult to say which is better. It depends entirely on your personality and career goals.